Winter has come and let’s face it – it has its own beauty so why not spend some time outside with your drone and capture its beauty. The weather is changing rapidly and you may experience fog, rain or snow during the flight. With this safety tips in mind, you can prevent serious drone repair issues and have your quadrocopter fly smoothly for a longer time. Did you charge the batteries of your drone and smart devices? Did you check all the parts and if possible take spare parts with you? Did you check the camera settings? Did you choose warm clothes and gloves? Did you make a quick test of the controls? Practice and more practice will make you feel comfortable flying your drone in different weather conditions and take great photos. 1. Mind the strength of you your battery. The main difference when flying your drone in cold condition is the shorter battery life. The low temperatures slow the chemical reactions inside the drone battery which limits its capacity. The optimal temperature for the battery is above 68ºF (20°C). Keep the batteries warm as long as possible. 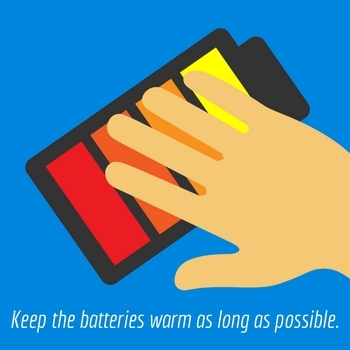 You can use a hand warmer, keep the batteries in your pocket or place them above the car heater. If the battery of your quadcopters is exposed to an open air, you can try to insulate it and keep the cold air away for a little longer. There are special battery insulation stickers that can prevent some nasty surprises. Fully charge the battery of your smart device – phone or tablet and keep it warm. You can use the same technique and put a hand warmer next to it. You can take with you a battery charger and extend the time spent outside. * Manufacturers like DJI also offer special battery heaters that can warm your drone batteries just for a few minutes. You have to be well prepared for the cold weather, too. You can do everything to protect your drone but if your hands are freezing you will not be able to focus well. Numb fingers can not only be unpleasant but can have an impact on your flying skills. 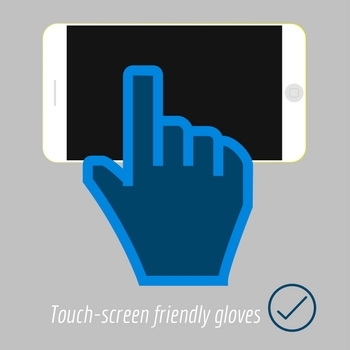 It’s a great idea to make sure you have touch-screen friendly gloves, a hand warmer or even consider a transmitter glove that protects your hands and the controller from cold. 3. Look out for the weather conditions. 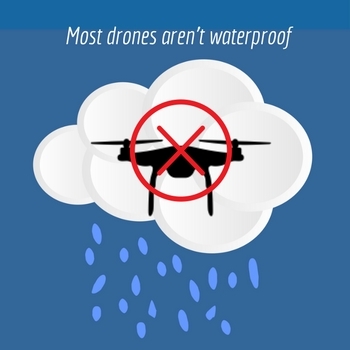 Most drones aren’t waterproof and precipitation of any kind can damage the camera and gimbal, short out a motor, or cause other malfunctions to the drone or controller. Avoid flying through a fog and especially if you encounter rain it’s better to land your drone ASAP. If you lose an eye contact with your drone it may crash in unseen wall or tree and you will have no idea where to look for it. A good way to avoid crashes is to learn how to turn off your throttle as soon as you crash your drone. This stops the rotor’s spinning and prevents further damages. Having a GPS or RTH/RTL system on your drone can save you from unexpected damage or electrical failure. When flying in the GPS mode, your drone will balance itself and you will be able to take your hand off the controller. If you are nervous or unsure what to do, the GPS mode will help you and will correct your mistakes. Flying your drone on a windy day requires extra care so you have to keep your drone away from walls or other obstacles. 4. Bear moisture and cold in mind. The moisture of snow and the reduced visibility can ruin your expectations for great winter photos. Being well-aware and prepared is what makes a drone fan an ace. 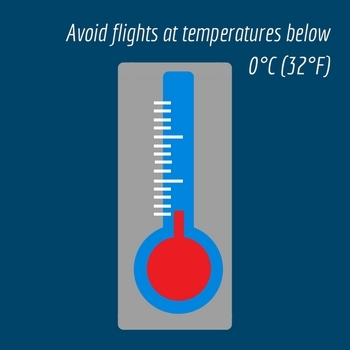 First of all, check the weather conditions and avoid flights at temperatures below 0°C (32°F). Avoid contact with the snow at all cost. When ice builds up on the propeller blades, it increases the craft’s weight and changes its aerodynamic properties. Keep this in mind, especially when flying over a body of water. To protect your drone from the moisture and the snow being blown on and into the drone while you take off, you can use a landing pad, cardboard or hard-shell case. Take extra effort to protect your drone especially if it’s snowing or lightly drizzling. Be aware that the air on a cold day has a higher density and this will change the performance of your drone. The cold air on top of the warmer water can cause fog that refreezes on nearby surfaces ( including your drone). 5. 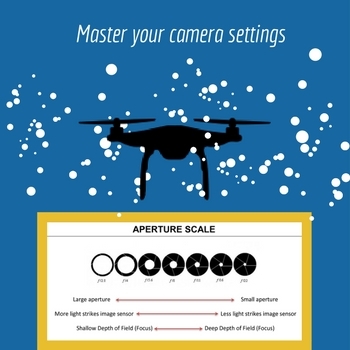 Master your camera settings. To capture beautiful snow images you need to use the manual settings for exposure. Bright snow landscapes may trick your drone’s camera that the scene is over-exposed so it may set lower exposure. This may lead to under-exposed pictures and snow that looks grey. Be creative and look for different patterns and interesting structure. You will be amazed that one place can look different in two days in a row. Also make sure you practice flying indoor drones as much as possible to keep your skills ready to go!